Turning a social media spend of $1500 into a reach of 98 million in two weeks is no mean feat, but for the New Zealand Police Force, its viral recruitment video did just that, eclipsing all expectations and yielding results still being felt today. 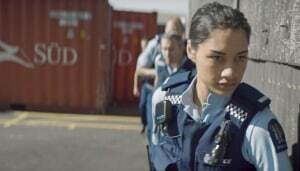 The $350,000 blockbuster ad, featuring 70 staff including the NZ Police Commissioner, was designed to push past issues of ethnicity, race, gender and religion, which may have previously affected public opinion, and impeded the recruitment of trainee police. The ad, created by Ogilvy NZ, included police from diverse backgrounds and turned the NZ Police Force's latest recruitment drive into a viral sensation on a social media spend of $1500 (NZ). It goes through the day–to–day role of a NZ police officer, with each scene seamlessly introducing a different member of the team - interspersed with the odd slice of humour. Launching in November 2017, the first three days alone saw the video ad blow up, with 1.4 million views on Facebook and an 800% increase in traffic to the organisation's New Cops recruitment website. Ogilvy NZ ECD Regan Grafton said while the ad was bold in its efforts, he had no idea the three–minute campaign video, designed to attract 650 new recruits to the NZ Police, would take off in the way it did. 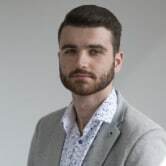 “We deliberately designed the concept to be shared by incorporating key influencers, such as artist and online personality William Waiirua, popular radio DJs and prominent figures from the LGBTQI+ community,” Grafton explained. “But to be honest, we didn’t think it would go that big so fast." After the first two weeks, media spend was upped and shorter versions of the ad were rolled out across TV, supported by out of home. Results haven't just been reflected through virality. NZ Police has already reported the largest number of female recruits ever to start at the Royal New Zealand Police College, directly attributed to the campaign. In addition, the police force has set itself an ambitious target of 50% female recruits by 2021. “NZ Police wanted to change its perception and attract more females and diverse recruits," Grafton said. "We did this by moving away from serious messaging with connotations of personal risk to a more entertaining and informative message. Grafton pointed to this as one of the bigger challenges with creating the ad and highlighted that a campaign of this scale had to have a clear and concise message without exclusion of any individual. “Our job was made a lot easier because of the improvements that have been made within the police force but it’s always a challenge to overcome negative perceptions,” he said. According to Grafton, in 2016 the NZ Police Force was struggling with negative press, with one particular article claiming it was one of the country's worst employers. However, within two years, the force had risen from the bottom rung to reach number 14 on the list of most desirable NZ workplaces, according to research conducted by international recruitment firm Randstad. NZ Police senior marketing advisor, Helen Flannery, said the ad was mainly designed to appeal to a target audience in New Zealand of 18–29 year olds, and not necessarily to address bad press. “We did not use the ad to address any issues per se, other than we need more cops to join us to make NZ the safest country,” she said. With the video now sitting at more than 1.5 million views on YouTube, having reached countless more in New Zealand and globally, Flannery said the organisation is proud to say it has “certainly” achieved all of its objectives”.